Welcome to the Ford Galaxy Channel! Read the Ford Galaxy Board, chat with other Ford Galaxy Fans or find cars of other Ford Galaxy Owners. Your are currently not logged in. You are not able to see any Channel-News and hav only restricted access. 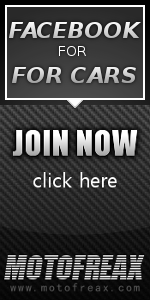 Join today for free, create profiles for your cars and be part of the autofreax.com network. ...and what are you drivin?